In a world of Bitcoin and the march towards the Mark of the Beast (one world currency), I'm not sure what you've been up to... but I’ve been arrested. I had no defense. I’m guilty as charged. We have piped unto you, and ye have not danced; we have mourned to you, and ye have not wept. I don’t watch many movies anymore – but because of the release of the new Blade Runner 2049, I watched the original movie – the old Blade Runner (from 1982, the Final Cut) in early October 2017. I was shocked at how Blade Runner contains items from the ‘ugly’ webpage – which I had just uploaded in early September 2017. With heavy rain, darkness, crowds and traffic, Blade Runner presents an ugly world. And, the animals presented aid the ugliness. …to make the cities of Judah desolate, and a den of dragons. 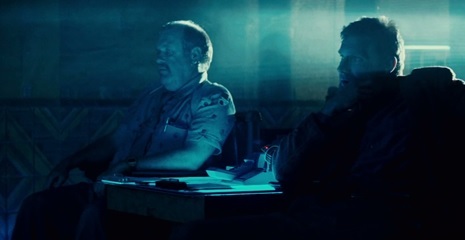 Deckard (the protagonist) originally thinks the scale (a clue he found) is from a fish, but finds it is from a snake. Effectively, the serpent replaces the fish (the fish often being associated with Christ). 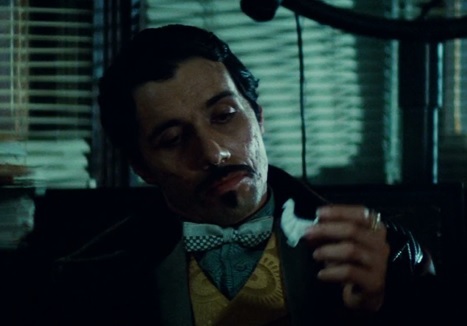 Blade Runner (from 1982, the Final Cut) also portrays our own ‘good’ works. 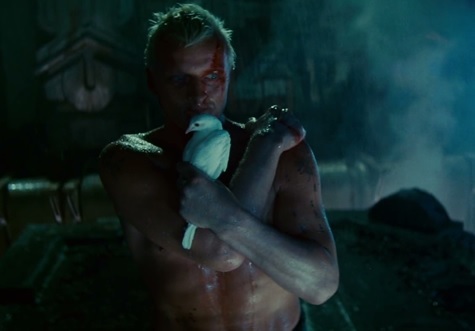 Roy Batty (the chief Artificial Intelligence replicant) acts as the Devil, including the Devil’s ‘good’ works. This AI’s good works are portrayed even as a direct replacement for Christ. Roy selects the middle of three. The enemy (Roy) saves humanity (Deckard, the protagonist) from falling to death. The dove does not remain on the enemy though – just like the Holy Spirit cannot remain on us if we do not run on our thin path, the blade. However, the Spirit remained on Christ. As the enemy is headed to the lake of fire, he wants to promote the importance of this life only. In contrast, the tears of those in Christ are stored for the next life. 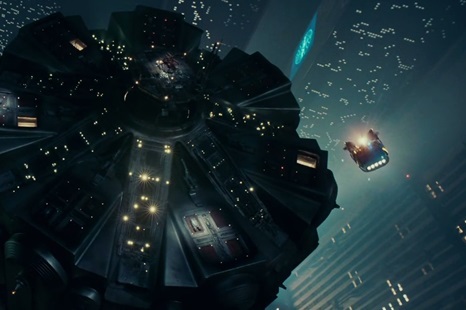 The movie Blade Runner (from 1982, the Final Cut) does not explain meaning of the name: ‘Blade Runner,’ but proper Christians can be described as Blade Runners. Christians run because of urgency. Abraham rose early to obey God. Our strength is not our own – but is from the Lord. 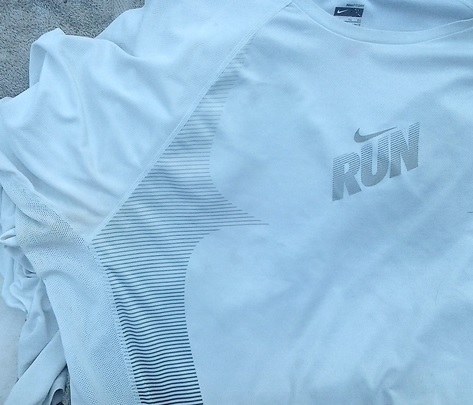 Run faster – because of the grace of God… but don’t sweat. And the path we run is thin, like a blade. In fact, the way is so thin, that there really isn’t any way to properly turn around. The central truth of the Bible is not that we steal, or murder, or hate, or some other noted sin. It’s that we go our own way, and never run the blade. Note how the wicked do the opposite of the run. The wicked get slower and slower with evil. First is walking, then standing, then sitting. Not only do we run on the blade, but we also wield the blade. Our blade is our speaking the Word. Donald Trump becoming President of the USA was a critical victory brought to us by God. The most important reason that Trump is President is not for tax changes, healthcare changes, stopping left-wing agendas, or even saving children from pedophiles. The most important reason concerns central banks. Many note that Luciferian, wealthy families (notably the Rothschilds) control almost all of the world’s central banks. These central banks issue and control countries’ currencies. And many speculate that only a few countries’ central banks are not controlled by these wealthy families – perhaps: Iran, North Korea, Cuba and Syria. With civil war in Syria, Cuban openness to the USA, North Korean and Iranian changes, central bank control could change (if it hasn't already) for most of these countries. 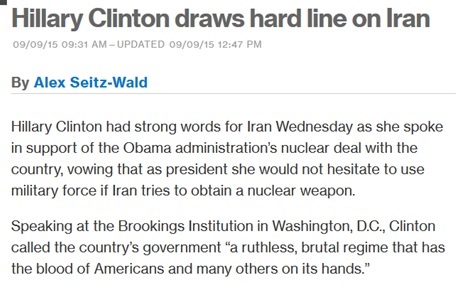 After Iraq’s fall and Libya’s fall, Hillary Clinton did want to war with Iran. What is the importance of control of these central banks? To have legal right to most people via the Mark of the Beast, the Devil has to legally fulfill the conditions – that is, fulfill Biblical Scripture. The Devil’s people have to cause ALL people to potentially bear the Mark of the Beast to trade currency. In a very real and practical way, he can only do this when he controls ALL of the central banks. When certain European countries adopted the Euro as currency, the central banks made the change and compelled the citizens to use the new currency. Similarly, the Devil’s central banks will one day make the change to a new digital, international currency. But to have legal right by fulfilling scripture, it will have to be every country’s central bank. Donald Trump’s victory has bought us time (delayed the rollout of the Mark of the Beast) – salted the world’s people. Salt preserves food (in times before refrigeration) and salt makes food acceptable to the taster. This time is necessary to give people a chance to be made acceptable to Christ, rather than people being turned over permanently to the Devil in a rather short time. This time allows the world population to grow to create a large harvest of people for Christ. 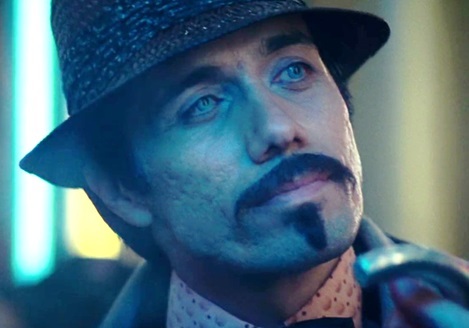 I couldn’t help but notice the rise and rise of digital currencies (especially Bitcoin) during 2017 (which seemed to harken to the technology-oriented world of the Blade Runner). Maybe God wanted me to put a hold on Bitcoin's price and usage (or other cryptocurrencies)? Maybe God would have someone else give the hold to preserve the saltiness of the people? I prayed those words I had said before. I prayed quite a few times. Nothing happened. Those currencies rose and rose (along with their acceptability). If God’s will wanted the people to be preserved for the large harvest by slowing the rise and use of Bitcoin – I was sure that God would have someone else do it. During my October fast (to upset the most important Satanic holiday, Halloween) which started Oct 11th, 2017, although I noted mostly the dragon, snake and owl in Blade Runner, I felt that I had to review the meeting of Deckard and Captain Bryant. It was like I was in the movie. God responded: “I did. He can breath okay as long as nobody unplugs him. He's not good enough, not as good as you. I need you, Deck. This is a bad one, the worst yet. God countered: “Stop right where you are. You know the score, pal. It is the worst yet. The enemy currently races towards the one world currency, which will give him legal right to all people who take his mark – the unforgivable sin. …begin not to say within yourselves, We have Abraham to our father: for I say unto you, That God is able of these stones to raise up children unto Abraham. Except ye eat the flesh of the Son of man, and drink his blood, ye have no life in you. 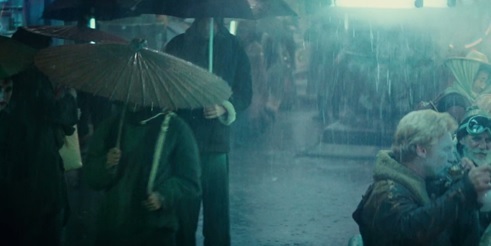 …the clue of why God needs you and me is shown (and not shown) in this scene of Blade Runner. And this clue which is seen (and not seen) contains the meaning of life. The Captain has a bracelet with red and blue. Red is the color of humanity. And they shall take a cloth of blue, and cover the candlestick of the light, and his lamps, and his tongs, and his snuffdishes, and all the oil vessels thereof, wherewith they minister unto it:. But what color is missing from Captain Bryant's bracelet? The color missing: it’s God’s people. It’s the whole reason we have life on earth. The color is purple (a mixture of red and blue). … and the hair of thine head like purple; the king is held in the galleries. Why do we have life on earth? So God can have his own people. God’s people are a new people, a royal race – a mixture of red and blue: the kingly purple. God’s people recognize the evil of the world, and partake of God’s divine nature to escape this world, and the lust for anything not desirable to God. …ye might be partakers of the divine nature, having escaped the corruption that is in the world through lust. The new man: perfect (alternative translations of perfect are: complete, mature, fulfilled). Adding the blue to change the color of the heart is a long process. The bird (perhaps a dove, as it is white) lands and remains. I look in the mirror. And, if I’m honest, I am a dog. My failings are considerable. But I am good. Amazing even. Because I have (like normal Christians) made the decision to reject my own righteousness, wisdom, power, knowledge, virtue and rely on God’s. Not my might, not my power – but the Lord’s. After running along the narrow blade for a while, this is no way back. And you are a prisoner. …being such an one as Paul the aged, and now also a prisoner of Jesus Christ. But prisoners run the blade properly. …but the Spirit itself maketh intercession for us with groanings which cannot be uttered. 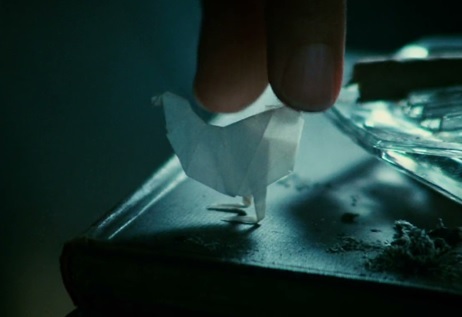 To get Deckard to go to Captain Bryant, the man with the surprisingly blue eyes (who leaves the origami white bird and speaks a bizarre language) arrests Deckard. And takes him up, up, up and up to the Captain. Why does this man arrest Deckard? I did some internet research on the Bitcoin, and found an international 'Ponzi' scheme by Sergei Mavrodi of the MMM company. This MMM company was, by many reports, fueling the price rise of Bitcoin (and not paying out withdrawals to customers, pilfering people’s accounts, and various other greed oriented shenanigans). In early October 2017, I started listening to Jefferson Airplane’s song “White Rabbit”. I had never been into that song, but it is rather well put together. But, as I wrote the webpage: fit – my real infatuation with the song was that it spoke (sung really) a temporary world into existence. It was a great example of the Devil’s temporary world (drug culture) which will rise and fall. In early November 2017, I practically fell off my chair when my Twitter feed featured #FollowTheWhiteRabbit. For my December 2017 fast, I felt the need to be ‘purple’. I wanted to find the blue of God and mix it with my red. But, after my fail, I was open to whatever the Holy Spirit had for me. I hadn’t paid much attention to Twitter for a while (because of Twitter censorship of various people), but on Monday December 4th, 2017, I looked at #FollowTheWhiteRabbit – as I believe that God had put that hashtag to me to check. On that hashtag, I found a video that changed everything. After watching this video and associated videos, I learned how truly terrible and awful things were. God said: “This is a bad one, the worst yet” for a reason. The Devil and his allies were A LOT closer to the Mark of the Beast than I could imagine. I had previously viewed AI (Artificial Intelligence) as a bit of joke. Computer programmers couldn’t produce anything but a shoddy mimic of humans. But D-Wave computers (Quantum computers) and CERN (European Organization for Nuclear Research) were beyond computer geek math – they were opening portals to the demonic to harness their power. Was this really possible? I pondered. Putting my learning of the demonic together, and watching more videos on the blockchains of digital currencies, I realized that this AI was the Devil’s attempt to be like God (and know all). God is greater than our heart, and knoweth all things. 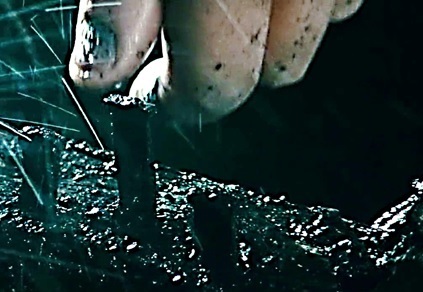 With the blockchain, which records all financial transactions, and the demonic AI (Artificial Intelligence) – aided by the best electrical computer chips available – the Devil has the ability right now to make his best attempt at being like God. It is the ‘worst one yet’. AI was not a joke. After mildly crapping my pants and throwing up just a bit in my mouth, I set to work. Although my fast began Wednesday morning, December 6th, 2017, I unusually asked God on Tuesday, December 5th for miracles. I didn’t know what we needed – but we needed it now – and lots of it. Really, with this dire situation, we needed miracles yesterday. And, God came through… even giving us an extra day. Mercifully, I later found that it was already kindled as of Monday, December 4th, 2017 (the day of my viewing #FollowTheWhiteRabbit and finding those AI videos). These fires were the latest rounds of California wildfires (and then mudslides). Some say these fires came from a nefarious source. Perhaps. 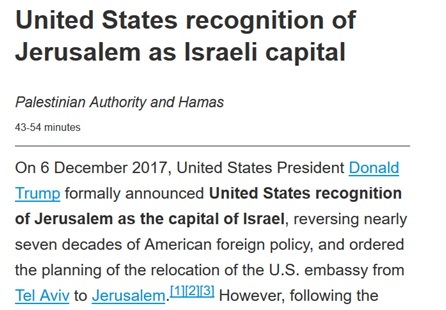 ...And on December 6th, President Trump recognized Jerusalem as the capital of Israel (with a plan to move the American Embassy there). 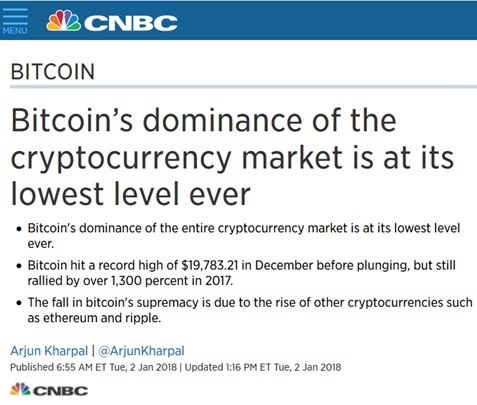 But what about Bitcoin, digital currencies, and the race toward the Mark of the Beast? One man. That’s all God needed. One man. Targeted: CERN (the large particle collider from European Organization for Nuclear Research), with its part in opening portals to the demonic, with its various demonic connections (a statue of Shiva the destroyer in front its headquarters, its location in ‘Appolliacum’ – related to false god Apollo, and a connection to Cernunnos, Celtic false god). Targeted: D-Wave/Quantum computers (whose creators openly talk of these being a high-tech ‘ouija’ board to the demonic). How art thou fallen from heaven, O CERN, D-Wave, Shiva, Apollo, Cernunnos, blockchain (and a few others) son of the morning! how art thou cut down to the ground, which didst weaken the nations! CERN boasts itself as the birthplace of the internet – creating one communication, one language for the world. …And they said, Go to, let us build us a city and a tower, whose top may reach unto heaven; and let us make us a name, lest we be scattered abroad upon the face of the whole earth. Nimrod is associated with this Tower of Babel. Nice outfits – but this AI (Artificial Intelligence) is not human – only demonic. Blue, purple, but no red. For purple, let’s bring in the big guns. Not only angels, but also a cherub. 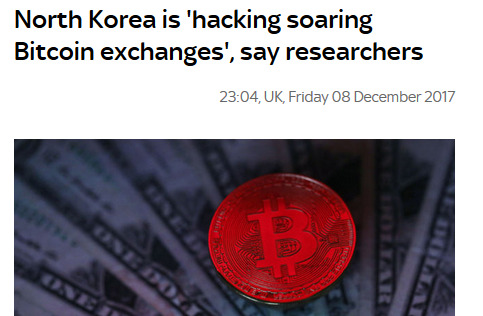 That didn’t take long: North Korean hacks on the Bitcoin. 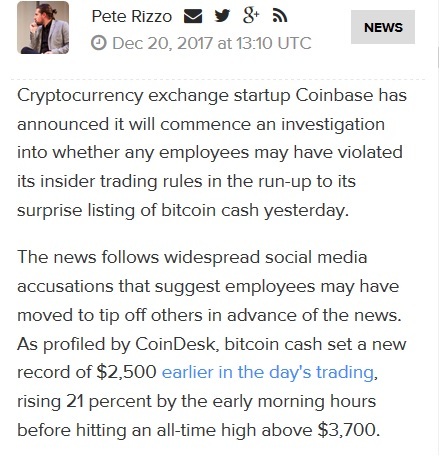 About a week after my fast was broken (Tuesday, December 19th, 2017), the popular cryptocurrency exchange, Coinbase, 'divided' its Bitcoin – by adding ‘Bitcoin Cash’ as an offering – which angered Bitcoin enthusiasts. Anger was also fueled by allegations of insider trading. Insider trading brings us back to my MMM Company/Sergei Mavrodi tweet. Although CERN and D-Wave/Quantum computers have all this ‘whizz-bang’ technology, the road to the Mark of the Beast will be a rocky one. The MMM Global/Sergei Mavrodi company showed us greed, the root of all kinds of evil. 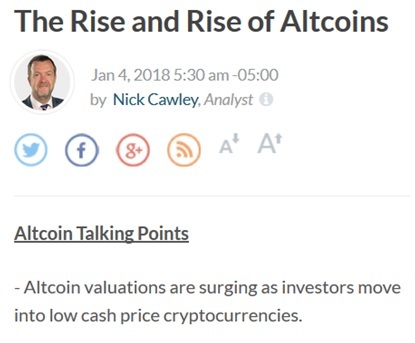 Blockchain and digital currencies are here to stay – but those who invest in digital currencies will note the greed – the inability to withdraw, the ludicrous transaction fees, manipulated currency prices, and the divided tongues (multiple currencies to create more wealth for the exchange insiders). Regular banks and financial institutions also feature these greedy instantiations, but the new cryptocurrencies magnify this trend. For saltiness, we needed more time. During my December fast, I made sure to laugh. 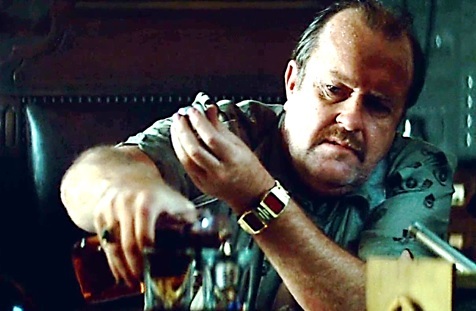 Oh, also – these days, in addition to running the thin path and the sword of the Spirit – proper Christians ‘retire replicants’ – just like in the movie Blade Runner (from 1982, the Final Cut). We kill the AI (Artificial Intelligence) empowered by the demonic. Christ marks important statements by saying 'Verily'. Christ marks incredibily important statements by saying 'Verily, verily'. And, behold, they cried out, saying, What have we to do with thee, Jesus, thou Son of God (and fellow Blade Runners)? art thou come hither to torment us before the time? The day after I viewed Blade Runner (from 1982, the Final Cut) in early October 2017, I found a shirt I had been looking for (a shirt with 'RUN' and a jagged pattern). It was on top of my Derek Prince CDs. It's white – but clearly needs some cleaning. Yes, I have come to torment you before the time.